About two weeks ago, I stumbled across Avaak’s Vue personal video monitoring system at CTIA Wireless 2011. 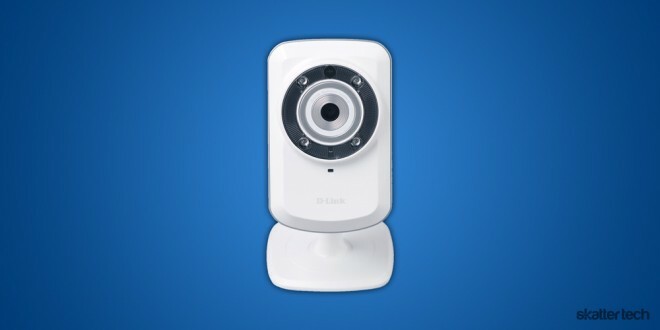 This morning, D-Link announced availability for their very own consumer-friendly video camera security solution. Although it sports an overly long name, the Wireless N Day/Night Network Camera (DSC-932L) packs some neat features. “With D-Link’s new day/night network camera, consumers can quickly, easily and affordably add networked surveillance to their home or small office,” said Daniel Kelley, associate vice president of consumer marketing, D-Link North America. Unlike traditional network camera which are a hassle to set up with complications such as port forwarding, this new model is a truly plug-and-play solution. D-Link also offers two other easy-to-use mydlink-enabled networked cameras, however the DSC-932L is the most affordable of the bunch. The new model even features an embedded microphone to let owners easily listen in on intruders or thieves. Geekier users can install additional software to configure storing video to their hard drive, enable motion detection, schedule automated recordings, set up email alerts, and much more. According to the press release, the Wireless N Network Camera is now available for a suggested retail price of $149. While a bit costly, other stores will likely offer it for less. The older DSC-930L model already goes for as little as $69 through Amazon. We will get our hands on a unit sometime soon for an in-depth look, so stay tuned for more details.